28'x38' Bank Barn attached to house via breezeway. 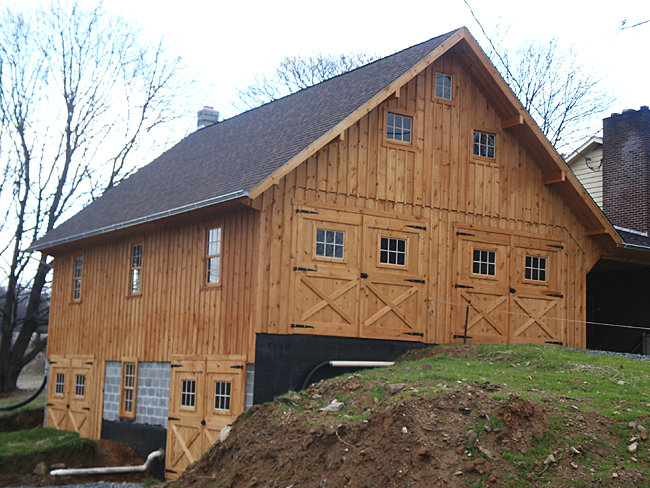 This barn has 2-1/2 stories and 24" wide roof overhangs. Barn is built with white pine siding and shingled roof. Barn has two 9'x8' double doors in front, entry door on the side, two double doors on lower level, wooden sash windows and full loft up in the roof.